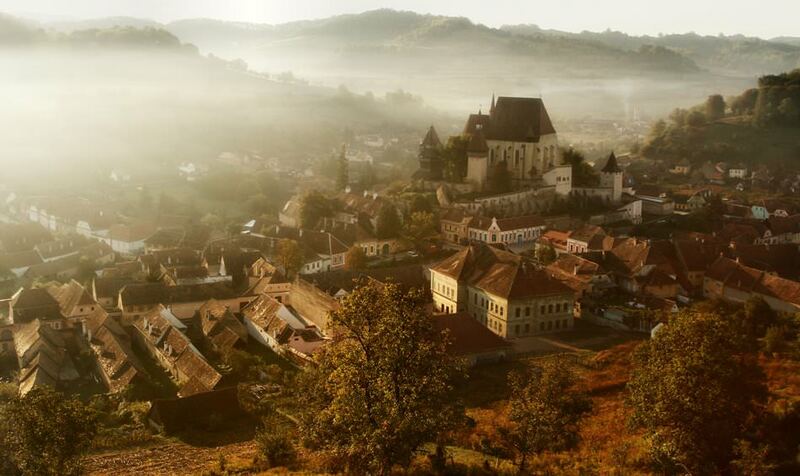 Rich with history, brimming with ambiance, and unspoiled by mass tourism, Romania is beyond photogenic. It is simply beautiful. And often magical. We were so impressed by the rugged charm we found in Romania and its people that we haven’t been able to stop writing about it. 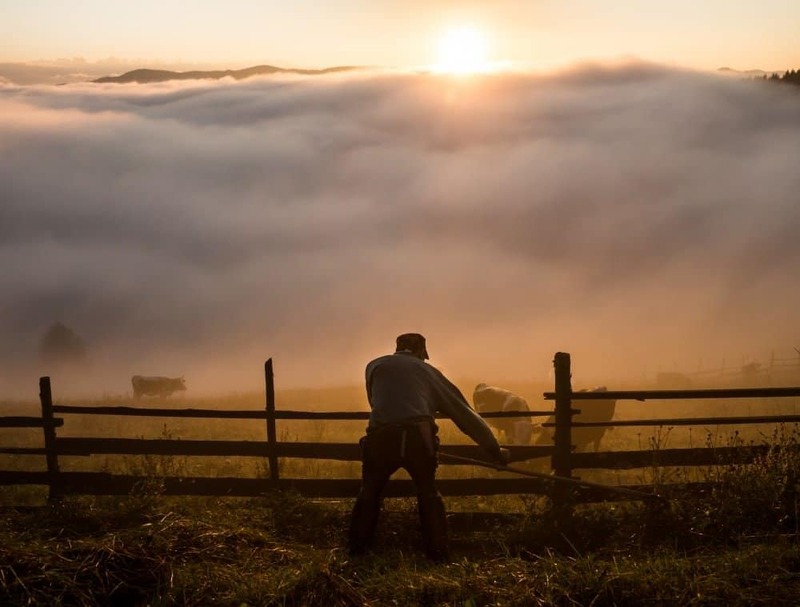 We already told you why you should visit Romania, but just in case you weren’t convinced we put together a brief photo essay to illustrate why this country won our hearts, and why it will win yours as well. From dark shadowy depths of its virgin forests to wildflower sown meadows, from the rolling misty foothills of the Carpathians to the wetlands of the Danube Delta, Romania’s landscape is inundated with vibrant color, charming character, and fascinating relics of a history steeped in human machination. 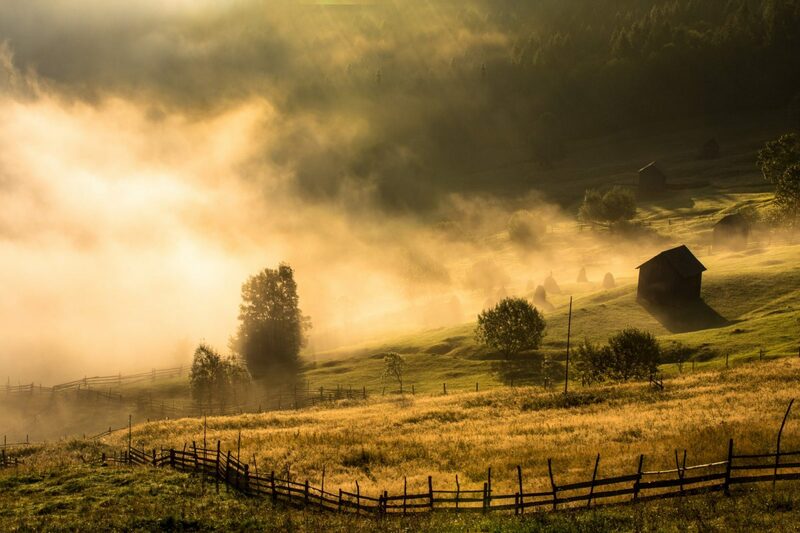 Romania is a country with an expansive and storied past, one that is etched symbiotically into its multifaceted countryside. 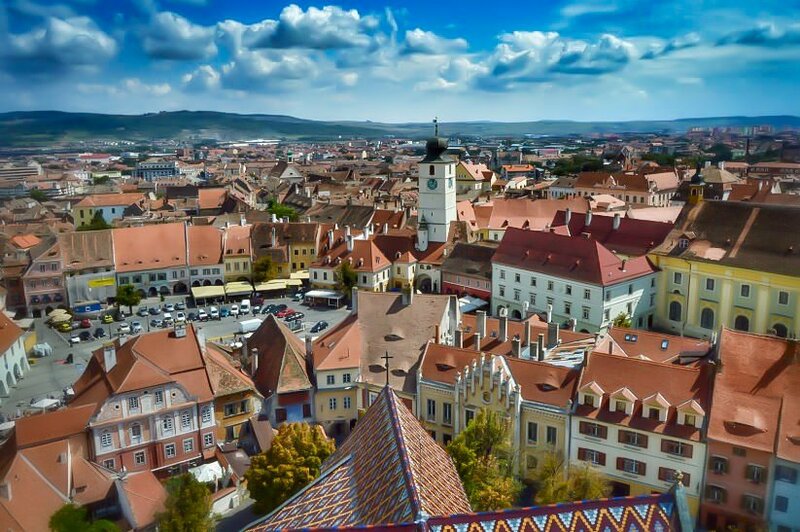 The remains of a time bygone are plentiful, nowhere more so than in Transylvania, where a multitude of walled cities, restored towns, fortified churches, and grand castles bring history to the present. Mirth. Photo by Gianni Bianchini. The entire Transylvanian region is a living breathing time capsule, where the lines between past and present are constantly being blurred. 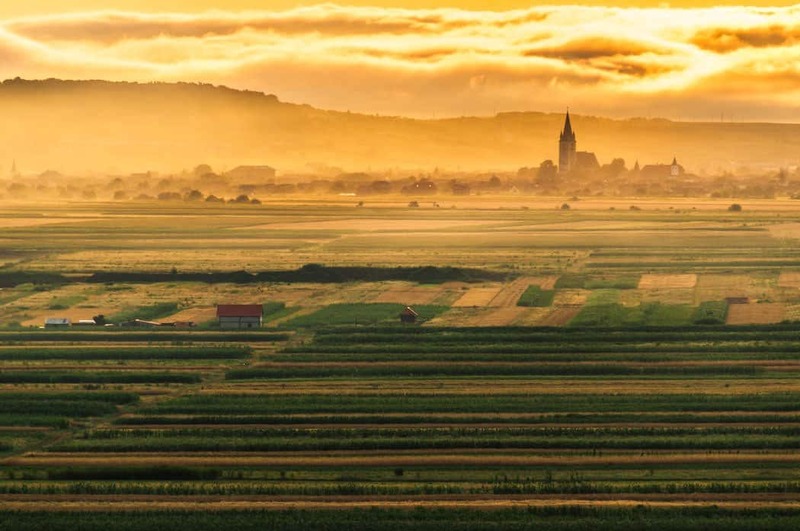 Squint your eyes a little bit when looking out at the Transylvanian landscape and you can almost feel yourself being magically transported centuries back in time. 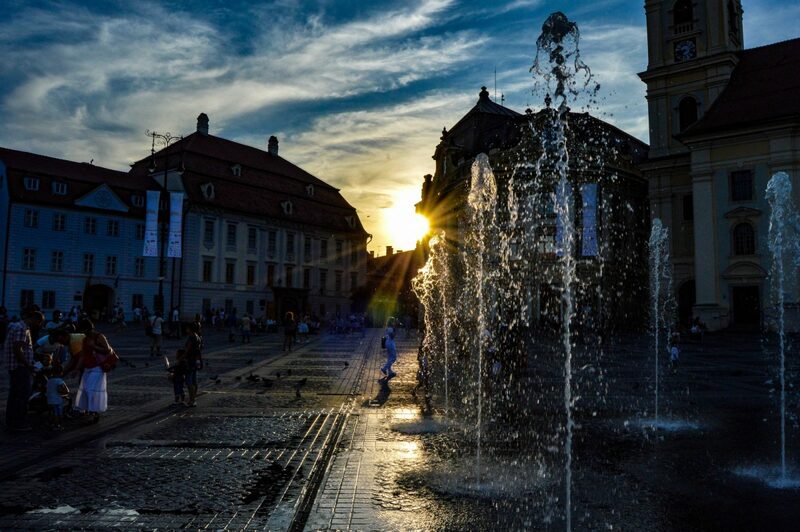 Historic Brasov, grandiose Sibiu, stately Alba Iulia, and tiny Sighișoara are filled to the brim with ambiance and charm. Colorful old buildings, tiny cobble-stoned side streets, and old churches adorn these lovely Transylvanian towns. 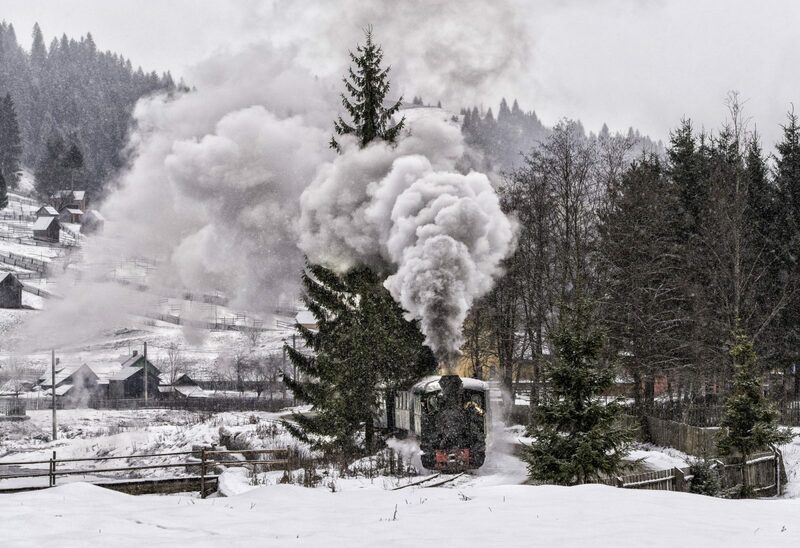 A snowy train ride in the heart of winter through the Romanian countryside might be enough to convince even the staunchest skeptic. Maybe it’s not quite magic, but it’s as close as we’re going to ever get. Once winter’s embrace has thawed, the Romanian countryside explodes in a hundred shades of green. Green is a common color in Romania, even in its cities. Summer brings blue skies laced with puffy white clouds, glorious sunsets, and all sorts of opportunity to explore. The town squares are common a gathering place for socializing as the heat of the day fades away. During Autumn fog is almost always present in the valleys, coating everything in tiny glistening water beads, and making for a wonderful view from above. To get to the top of the hills you may have to navigate your way over private properties, but the locals are friendly, and they are used to zealous photographers trying to capture the magic. 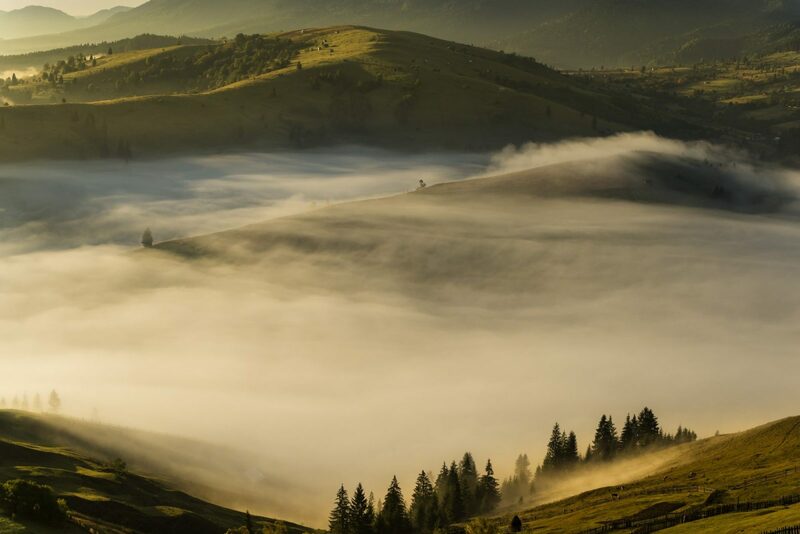 The pristine mountains and virgin forests of Romania represent Europe’s last true wilderness. 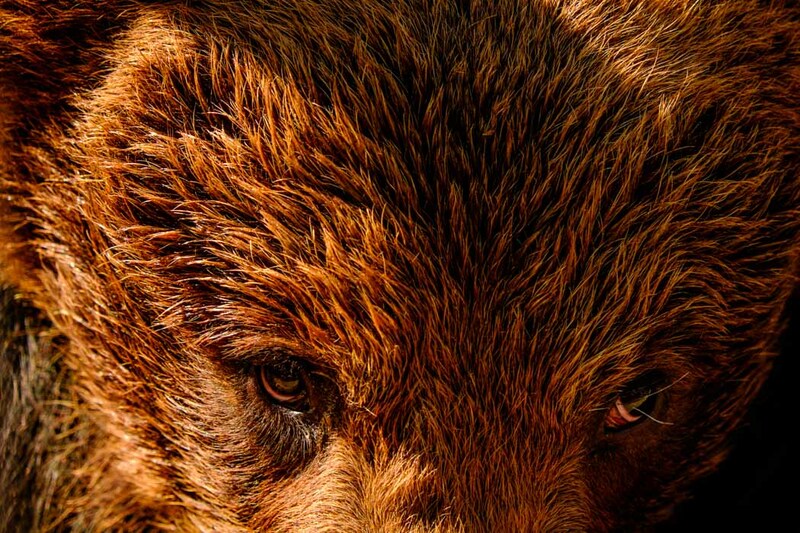 The Carpathians are home to 60% of Europe’s brown bear population, 40% of Europe’s wolves and 35% of its lynx, all roaming the unspoiled landscape, harking back to a time where man had not yet gentrified the wild, but lived symbiotically with it. The Libearty Bear Sanctuary – 70 hectares of oak and hazel forest in the Carpathian Mountains above the Transylvanian town of Zarnesti, is home to 80 of these magnificent creatures. When you visit Romania make sure you stop by and visit the sanctuary, and help them continue to do their important conservatory work. 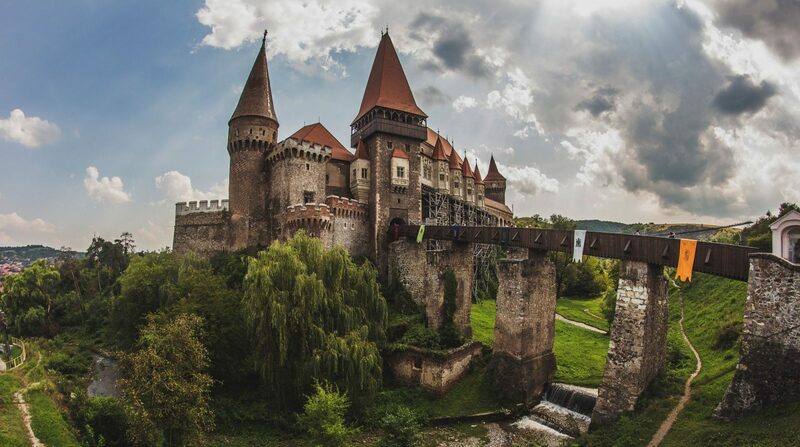 Corvin Castle. Photo by Carcea Daniel. If you fancy medieval architecture, castles, towers, and walled cities then Romania should definitely be on your shortlist of places to visit. The Citadel of Alba Iluia, presides over two thousand year of history (yes TWO thousand), dating back to the Roman Empire. This massive structure is home to a Roman Catholic cathedral, a Romanian orthodox church, a museum, a parade ground, and Roman ruins. 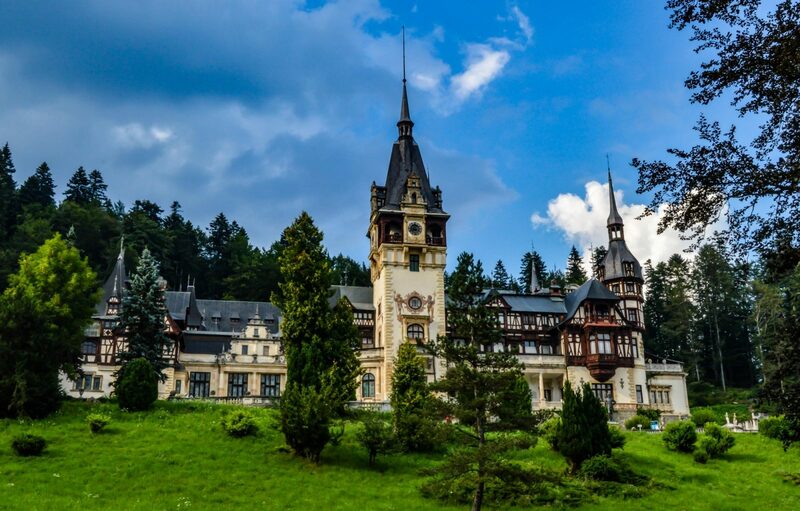 A fascinating amalgamation of very old and new, Romania is standing on the edge of a huge tourism boom. Once known only to a few savvy travelers, the secret is getting out, and when it does the flood gates will open. East of Eden. Photo by Tim Whitfield. Thank you for taking this photo tour with us. We know that the internet is filled with superlatives, and that words like “magical” and “beautiful” are used far too often, and sometimes lose their meaning. However, there is truly a unique sort of mystique, a graceful and historic weight, to Romania. We felt it quite often when exploring the country for three months this past summer, and are keen to return and explore some more. 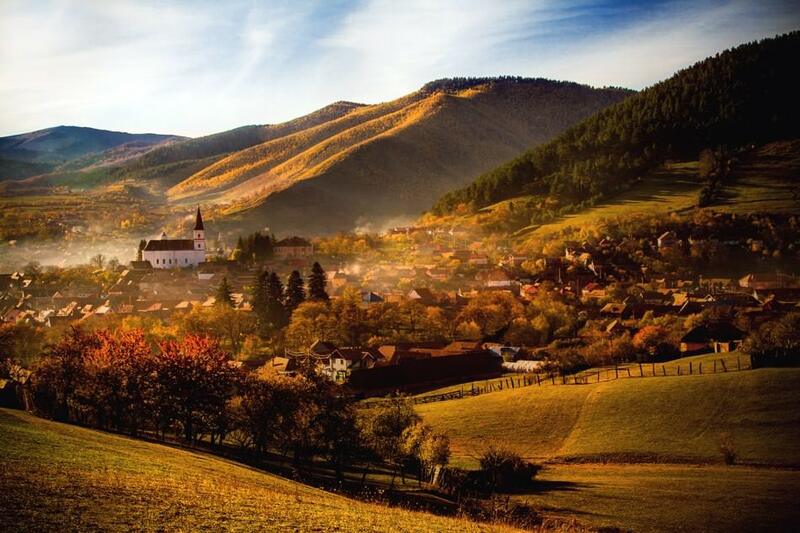 If you have not been to Romania we hope that you find out for yourself one day, sooner rather than later. A huge thank you to the talented photographers that allowed us to use their images in this article. Thinking of Traveling? Click Here for a free travel insurance quote. Wow, this looks amazing. I am actually traveling around Romania at the moment and I have already visited some places on this list. 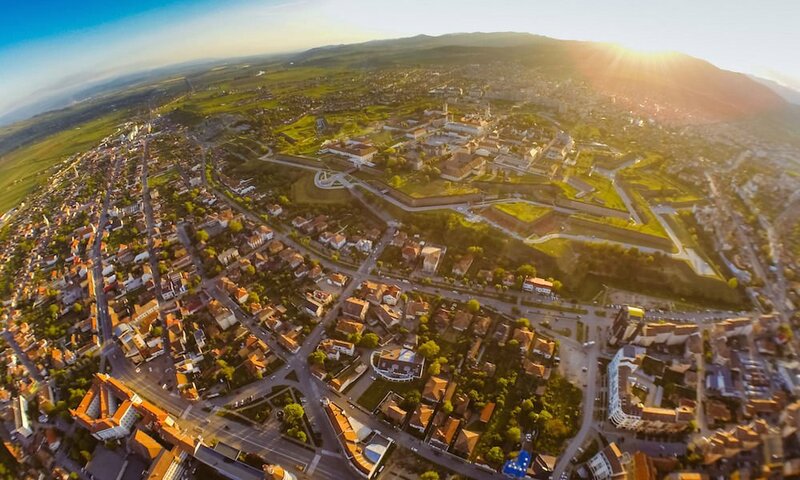 I am actually in Alba Iulia at the moment! The only thing I am missing here is the Transfagarasan road. To me the most beautiful experience in Romania so far! Thank you for writing such beautiful words about my country! It’s nice to see that people are starting to look with other eyes at this tiny but indeed magical place. Thank you for the beautiful words about România. The Government is selling this beautiful country and it’s thick forests…. Romania is a beautiful country indeed. If you love Romania do something positive about her! Post some pictures of mirifique, mystic and magical places! Invite some friends to come over and visit the country! Marvelous collection of photos that shows the manifold perspectives and charms of a unique country. i would love to see the beautiful Romania. i would love to visit and enjoy the beautiful Romania. I’ve never been to Europe so this is my chance to see the nice pictures of romantic Europe in person. Really nice enjoyed this very much. Great photos. Almost got to go there this winter. Romania is the country of my grandparent’s birth. We hope to visit there next year. Stunning photos! I keep hearing more and more about Romania and realize I must go! Wonderful photo collection! I must say, it makes me feel real produs when I see that there are many people who do appreciate eveything that Romania has to offer. the photographers are also all very talented. I understand your frustration. However, your anger is slightly misguided. We know Romania faces many challenges as it climbs out of the terrible hole Communism left in its wake, and we know your people are not in the least bit content with the corruption within your ruling parties. That said, your country is a beautiful place, filled with incredible history, kind and generous people, and spectacular scenery. We want more people to visit Romania, to learn about its history, and to appreciate its beauty. It’s nothing wrong about Romania, it is a peace of heaven the other richest countries have lost. Romanian people don’t understand how lucky they are! Thanks for sharing your thoughts about Romania with us! I love it when people write about forgotten countries and not just the obvious tourist places! Stunning photos! I’m actually looking at going to Romania soon and was wondering how you got around? Car or public transport? You’ve certainly put Biertan on my radar? 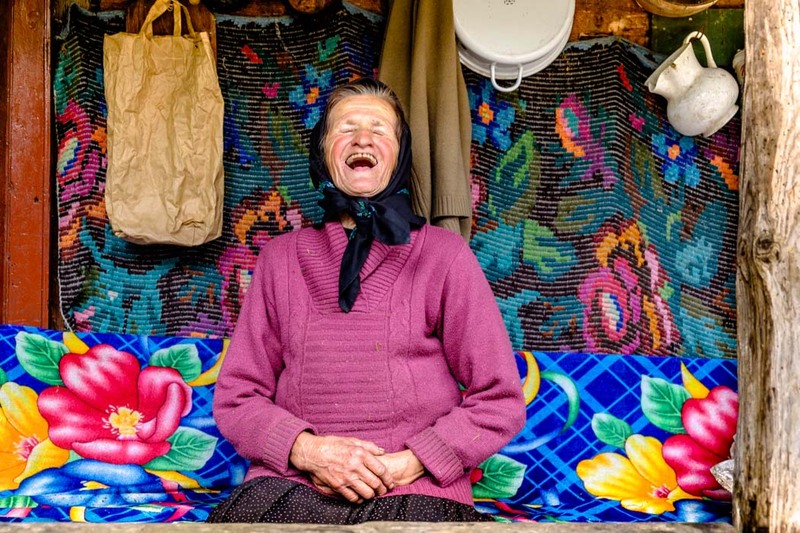 Did you get a chance to visit the Maramures region? The best thing is to rent a car if you go to Maramureș. We rent the car in Cluj, from a company near the airport. The roads are OK and many restaurants along the way. Depending on where you’re going, I can give you specifics. I adore Romania. Was lucky enough to spend some time there in the late 1990’s. It was beautiful, the people were wonderful, and the architecture was awe inspiring. I very much enjoyed this post, thank you for sharing your excellent photos as well. I would add on the list Danube Delta, Black Sea coast with its wild beaches, fortresses from Dobrogea, vineyards.